We are a community league, we do registrations for Outdoor soccer in March and recieve money. We also send a cheque for registrations in March as well. Our year end is April 30. How do I record these two transactions properly so they can be put in for the next fiscal year, and so the proper income/ expenses for the soccer program? 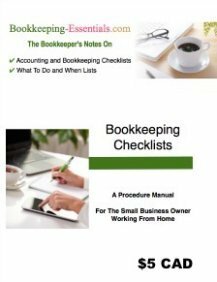 To properly allocate your income and expenses to the coming year, you need to set up two balance sheet accounts. The first account should be a current asset called Prepaid Expenses. 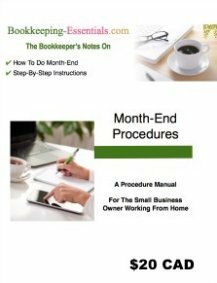 You can read about prepaid expenses and how to record the entries in my article on Home Business Taxes. The second account you need to set up is a current liability account called Advanced Deposits. You can find out more about advanced deposits in my article on Common Bookkeeping Entries. If I attend a conference in 2015 but pay for it in 2014 (and my year end is December 31), does the expense belong to 2014 or 2015? This is what is called a prepaid expense. In 2014 you book the expense to a balance sheet current asset account called Prepaid Expenses. In 2015, you reclassify the expense to Conference Expenses - an expense account on your income statement. See the prepaid expenses link in the main post above for more on this topic.